St. Clair Hospital was presented the award for several health IT initiatives, including a new patient workflow protocol in the emergency department. St. Clair Hospital in Pennsylvania has been named a 2014 HIMSS Enterprise Davies Award recipient. The Nicholas E. Davies Award of Excellence recognizes organizations that utilize health information technology (IT) “to substantially improve patient outcomes while achieving return on investment,” according to information from HIMSS on the award. St. Clair Hospital has demonstrated successful health IT implementation through the introduction of a new workflow protocol for patient registration in the emergency department (ED). The new protocol includes an ED status board, associated analytics, computer provider order entry, electronic documentation, and an electronic bed management system. The implementation of the workflow protocol has resulted in numerous improvements, according to the news release. 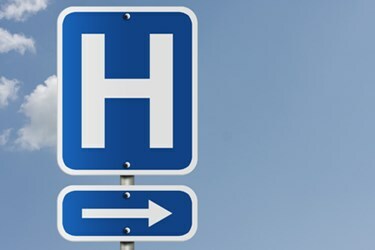 Wait times in the ED decreased from 49 to four minutes, wait time to see a physician decreased from 76 to 28 minutes, and patient satisfaction scores increased from the 14th to the 99th percentile. Other health IT implementation efforts at St. Clair Hospital led to additional achievements. With these efforts, the hospital provided pneumonia vaccinations, since December 2012, to nearly 100 percent of at-risk inpatients. An average of 1,100 preventable medication errors per year since 2004 was achieved through the development and implementation of real-time automated charting for medication administration with dual-scanning technology that included barcoding and RFID. Through advancements in recovery of underpayments, increases in collections, and reduced denials, St. Clair Hospital also generated incremental net revenue improvements over each prior year as a result of better use of the integrated EHR suite as well as the hospital’s patient accounting and scheduling systems. St. Clair Hospital is a 328-bed acute care facility located in Pittsburgh. The hospital has two outpatient centers, an urgent care facility, and an MRI center.